Since leaving the business world and becoming a fully certified CGTF professional, I have built up a full time golf-teaching career. This includes various programs in the winter and my own golf schools in the summer. The opportunity to attend the annual WGTF event has expanded my horizons and introduced to me friends from around the world. I would like to thank the CGTF for providing me an opportunity to teach golf and to complete a lifelong ambition. I have developed a successful business in Prince Edward County teaching golf fundamentals to players of all levels. 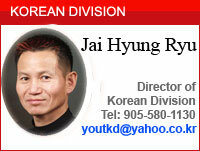 I am presently instructing at two golf clubs, a driving range, and my own teaching range located at home. The existence of the CGTF and the USGTF designations has been instrumental in my success. I became a certified CGTF member when I opened my own indoor golf business in 1995. I now teach on a regular basis usually from January through August. I use video with most of my students to enhance their understanding of what they are actually doing, and to help them improve their swing. I get referrals from students on a regular basis. 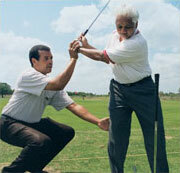 And I have taught many golf teachers who have complimented me on my methods of teaching. This past year I was almost too busy with the volume of lessons I have taught. Becoming a member of the CGTF has helped me to achieve my goal of working in the golf industry. I work for six months for the city of Mississagua as a golf instructor and am very fortunate to be able to work the balance of the year teaching golf in Florida. All this has been achieved as a result of my certification with the CGTF. What a great way to make a living! After having lost my job at 55 due to downsizing, I decided to pursue a golfing career. My certification with the CGTF has provided me with credibility as a golf instructor. I love the feeling of watching beginners improve their game due to my instruction. Obtaining my certification with the CGTF was the perfect opportunity for me to pursue a golf-teaching career. It provided me with, credibility as a teacher, it gave me the incentive to start and develop my own teaching business. And at the same time, it was the best thing I had done for myself and for my family in a long time. My only regret is that I had not seized this opportunity years earlier. As a golf-teaching professional, I am proud to be a member and to represent the Canadian Golf Teachers Federation. The course has been very helpful in teaching me how to teach the game I love.